What if I want it delivered by a specific time? If you need your order delivered by a specific time, an additional fee will apply and these options are shown at checkout. Will the arrangement look just like the picture? 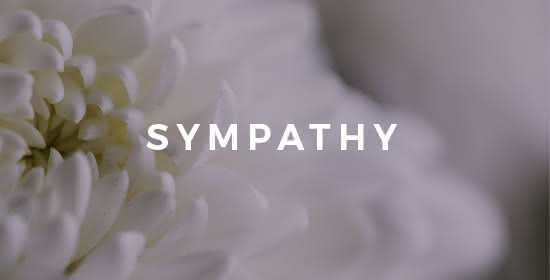 Most of the photographs on the website are styled as one sided arrangements where all flowers are in peak-bloom and have been gathered in the front of the vase to see a full representation of the flowers contained in each arrangement. The arrangement that is delivered contains the same number of flowers but they are arranged throughout the entire vase, which may make it look different than what was pictured. To ensure the freshest flower delivery, certain flowers may arrive in their bud stage. This increases your flowers’ shelf life so you can enjoy them longer. Please allow 2-3 days for the flowers to reach full bloom. Occasionally, substitution of flowers, plants, or containers may occur due to local availability. We take the utmost care to ensure the same style and color scheme of the arrangement is maintained using similar items of equal or greater value. In addition, some hospitals do not allow latex balloons with an arrangement. Mylar balloons may need to be substituted for latex balloons on some orders. How long does an arrangement last? A little extra care can make a big difference for any size flower arrangement or fresh flower bouquet. Most floral arrangements last 5-7 days or longer, depending on the flowers used and the care they receive. How can I make my arrangement last longer? Refresh the water every few days in a clean vase and give the stems a trim to promote water absorption. If the vessel contains floral foam, make sure to keep the water filled above the foam. Make sure no foliage falls below the water line to prohibit bacteria from forming. Keep the arrangement in a cool place as well as out of direct sunlight and direct air flow to prevent dehydration. If you are not completely satisfied with your purchase, we encourage you to contact our customer service department within 7 days of the delivery of your order. We will be happy to schedule a replacement delivery of the arrangement or a refund of the purchase price. We place high value on the satisfaction of our customers and strive to ensure that you are always happy with your experience and purchases. Do you deliver outside of South Florida? If you place an order outside our delivery area, we will work with only the best florists in that area to ensure the highest quality products. However, in a rare event that a fulfilling florist fails to satisfy your needs, we take responsible for a refund or replacement with an item of equal value. Can I place an order for delivery today? Orders placed by 2pm will be delivered during the same day, by the end of business hours. You can even request expedited delivery at checkout. Can I leave a card message? A complimentary message may be added to the order. To leave a personalized message with the gift, simply fill out the Card Message field during the checkout process. No billing or personal information will be included on the card. If the Card Message field is left blank, we will treat your order as anonymous in the event the recipient asks for sender information. Can I order a custom arrangement? Yes, you can! If you want to send something special that is not available on our website, a designer’s choice option is the perfect way to send a one of a kind arrangement. Our talented floral designers will create a custom arrangement to match your occasion, style, and price range. What if I need to change something on my order after I placed it? Please call us immediately if you need to make any changes to your order. Due to the urgency of same-day deliveries of perishable items, we move orders quickly. Can you send me a picture of what I'm sending? With our See What You Send program, we'll email you a picture of the exact arrangement right before it goes out the door with our delivery driver to be hand delivered to your recipient. We'll also follow up and kindly ask for your feedback on our service and the arrangement. You’ll receive confirmation of the order via email with your receipt and all the order details, as will we. Our floral designers will take it from there and create just the arrangement you are looking for. To prove it, we’ll even send you a picture of the exact arrangement before we send it out the door to be hand delivered to the special recipient. Business flower deliveries: 9:00 AM to 4:00 PM, Monday – Friday. 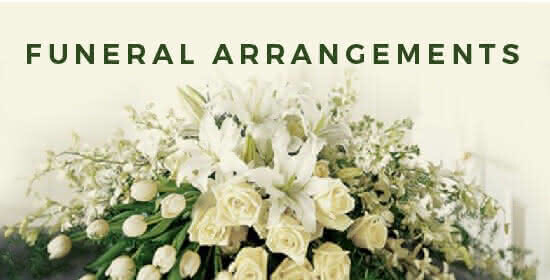 Residence, hotel, hospital, or funeral flower deliveries: 9:00 AM to 4:00 PM, Monday – Saturday. If you prefer to have your order delivered during a specific time frame, we offer this for an additional fee upon request. Please contact us to arrange this. *During major holidays such as Valentine’s Day and Mother’s Day delivery times are extended to 6:00 AM to 8:00 PM. Do you deliver to funeral homes? Making funeral arrangements for a loved can be stressful. When you order from us, we help guide you through the process and guarantee your arrangements will arrive promptly before the service begins. We will do all the work so you can simply be in the moment with your family. Do you deliver to schools? If sending flowers to a student, please send them to a residence as schools do not typically accept flowers for delivery to students. Deliveries for teachers should be placed early in the morning or the day prior in order to be delivered before 2:00 PM. What if no one is home at the time of delivery? Do you call the recipient? If the recipient is not available at the time of delivery, the gift may be left with a neighbor, in a safe place, or a note left on the door directing the recipient to call and schedule a redelivery. In some cases, the florist may contact the recipient to verify the address or confirm they are available for delivery. What if the recipient refuses the delivery? In the event that the recipient refuses to accept a delivery, the sender may be held fully liable for the cost of the gift. I know the recipient might not be home, can you leave the arrangement? The customer assumes all liability for requests to leave arrangements. Due to high temperatures during the summer, we highly discourage requests to leave on a delivery a doorstep, porch, yard, or any location where the recipient cannot accept the arrangement themselves. Miami Gardens Florist cannot be held responsible for missing or faulty product due to this special request. We take pride in delivering the freshest floral arrangements, plants, and gift baskets to our customers. All flower arrangements are artistically arranged in a vase and hand-delivered to the recipient. We use only the highest quality flowers to ensure your loved ones receive the very best. We guarantee the freshness of our flowers for 7 days after the order has been delivered. Please note that not all fresh flowers and products are always available, so some substitutions may apply. We purchase seasonal flowers and products in limited quantities and the best way to ensure availability is to place orders early. Please contact our customer service department within 7 days of receipt of your order if you are not completely satisfied with your purchase. We will be more than happy to send a replacement or refund the purchase price. If you place an order outside our delivery area, we will work with only the best florists in that city to ensure the highest quality products. However, in a rare event that a fulfilling florist fails to satisfy your needs, we take responsible for a refund or replacement with an item of equal value.